You know what hours of endless brainstorming results in? Combining two desserts to make one awesome… dessert love child. 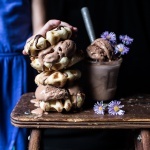 Dessert love childs are kind of a thing in the food blogging world. Think about it. 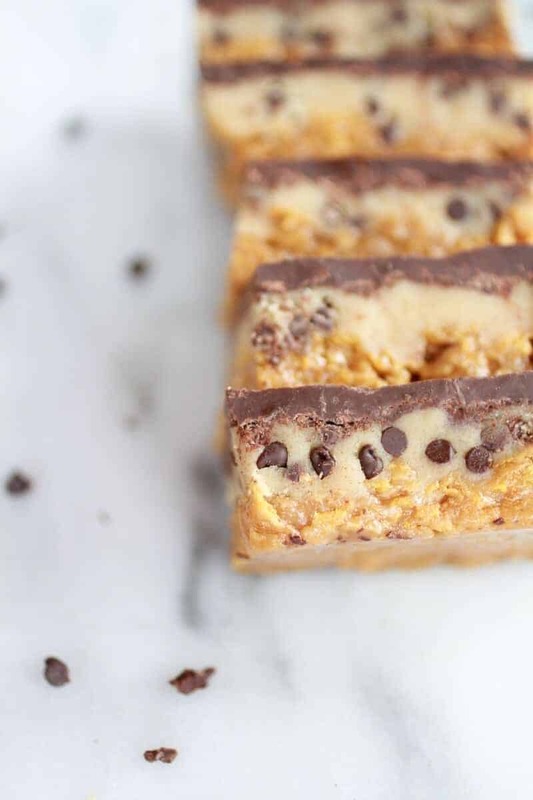 Without food bloggers we would not have the Better than Crack Brownies, 7 Layer Oatmeal Chocolate Chip Cookie Bars, Oatmeal and Chocolate Cookie Bars, Peanut Butter S’more 7 Layer Bars or Oreos stuffed in just about anything. Dessert would be just plain boring with out us. I mean really, we all need brownies, ice cream and cookies rolled into one. Right? Yeah, yeah. Dont answer that. Seriously though, I thought these up because of my brother, Kai. Poor broken Kai. It seems like he is always broken. This time it’s his collarbone, for the second time. He had surgery on it the other day, which totally gave me an excuse to make Special K-Bars. Cause obviously they are special. Oh and they are his favorite. The dot, dot, dots are my way of saying, oh no here I go. Cause when I go hiking, I brainstorm. Some things are just gross, somethings could be ok, but then there are some things that just work. These, these and these were all hiking creations. Kai, he loves only three desserts. Yeah, three. Chocolate chip cookies (and just chocolate chip, no crazy add ins), Special K-Bars and cookie dough (the real stuff with eggs and all). So yeah, you get where this is going. 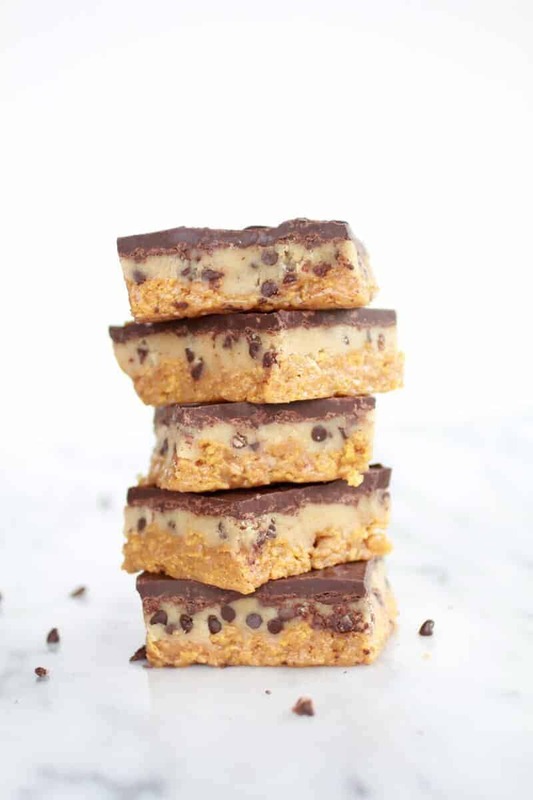 I put cookie dough in the K-bars. Minus the raw egg of course. I used this dough recipe from the Chocolate Chip Cookie Dough Cups I made earlier this year and it just so happens that they are like kind of, NOT all that bad for you. Yeah, skinny cookie dough. And it’s actually good. Kai approved. Promise. Kai, he hates all love childs. The rest of us? We love um. He’s just plain boring. Oh and since they’re “skinny” you can totally have like four, five, or maybe six! Grease 9×13 inch pyrex pan. Now here is the hard part – when your nut butter is finished processing, you need to pop it into the fridge to chill. If you don’t chill it, the chocolate chips will melt right into the nut butter and turn everything brown (yes, this happened!). Once it’s chilled, about 25 minutes, stir in the mini chocolate chips. While the "cookie dough" is cooling off, mix Karo syrup, peanut butter and sugar all together in large saucepan. Heat almost to a boil, being careful not to burn. Turn off heat and mix in corn flakes. Press into the greased pyrex pan. When the cookie dough is ready spread an even layer. Just do the best you can, I used my hands and patted the dough in that way. Melt the chocolate chips (I do mine in the microwave, heating on full power for 30 seconds, stir, 30 seconds again, and stir until melted). 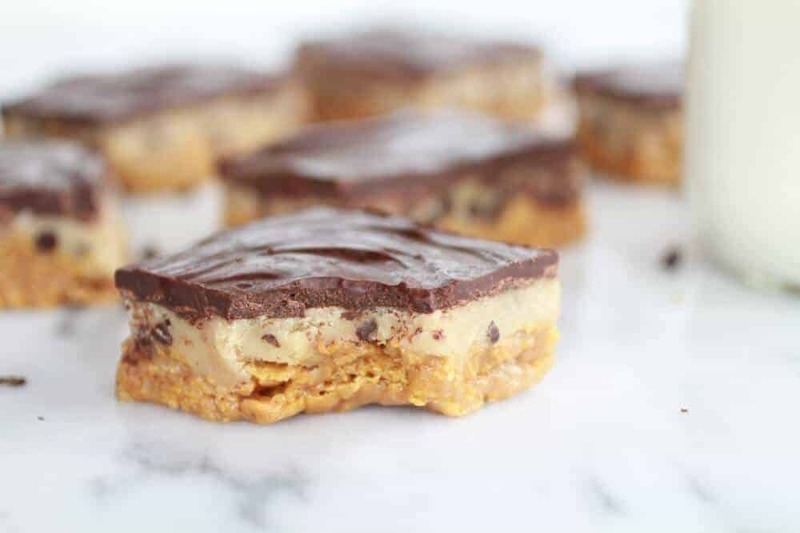 Pour the melted chocolate over the cookie dough and spread out in an even layer. Refrigerate at least 2 hour. Let the bars sit 15 minutes at room temperature before cutting. 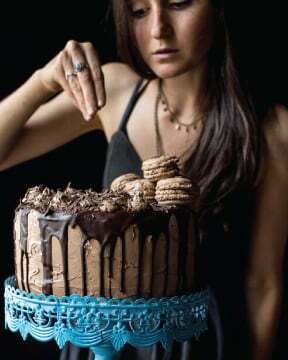 Dont freak if the top chocolate layer cracks. This is going to happen and there is nothing you can do about it. Store in the refrigerator. Wowza! Hiking is dangerous with you! These look very addicting! Yum, Yum, Yum! Of course Sally! Thanks so much for reading, you have some of the best dessert lovechilds I know of! I’d hang with your dessert love childs any ol’ day! 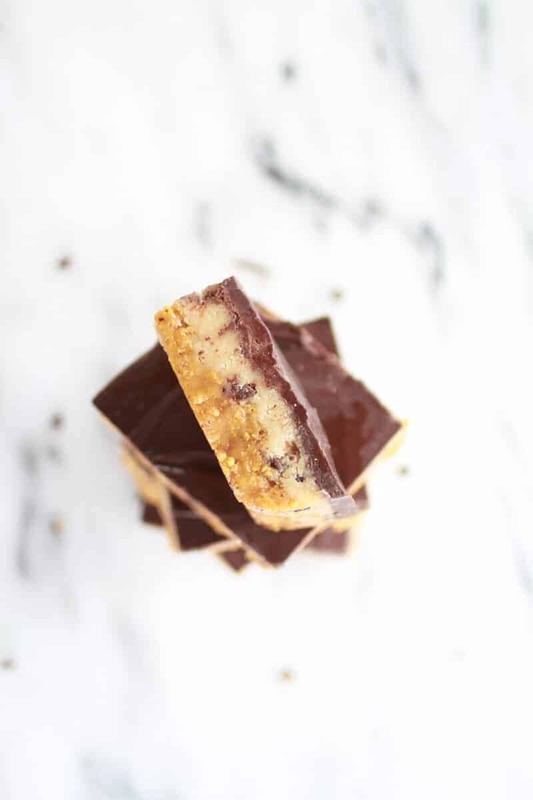 I didn’t realize hybrid desserts were “a thing” until I started blogging too and by golly, I love it! 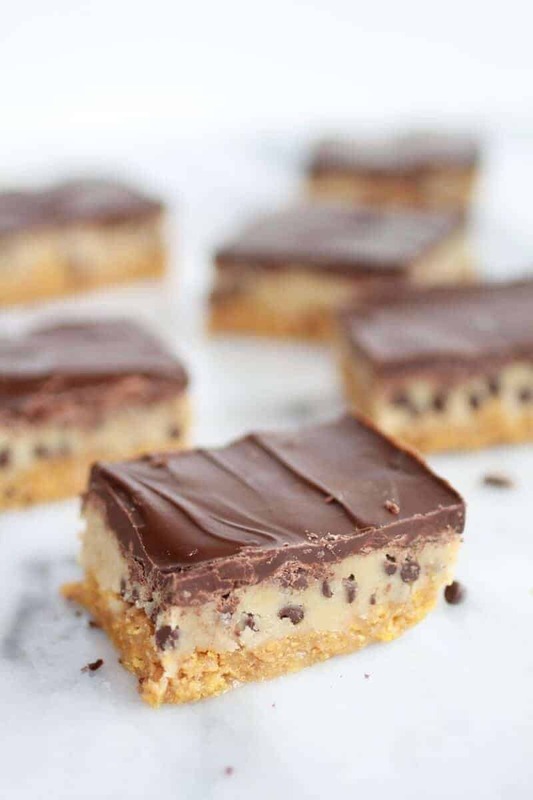 One of the first posts I happened upon as a blogger were “slutty brownies” which I’m pretty sure are 4 or 5 desserts rolled into one massive hunk o’ love. In any case, I love your special K bars, keep up that hiking, deary! Ha, thank Julia! Dessert love childs are the best! Thanks Julia! dessert love child’s are the best! Thank you!! 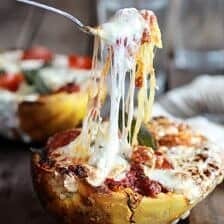 Let me know if you make these! 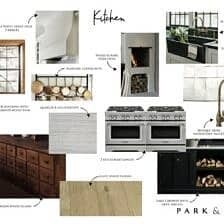 Isn’t it wonderful when brainstorming works? !These look chewy and delicious! I wish I did my brainstorming while hiking. My brain does food thoughts at night. Not good for sleeping, but does produce occasional inspired thoughts. 🙂 Am I missing something,or do the Special K bars not have any Special K? Are the corn flakes better in this case or interchangeable? I have no idea why these are called special k bars! That is just what I have always known them to be and my family has always used corn flakes. Go with corn flakes, the recipe is just soo good and I cant tell you what special k would taste like. Pretty funny right? These sound SO tasty! I guarantee that they are WAY better than a Special K bar any day!! Ha! Thank you, they are a fun twist on the original! Oh my love these!! I would be too tempted if I made them. Stopped by from Pin Me. Thank you, you need to give them a try! 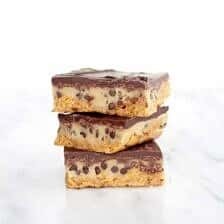 One of the earliest recipes on my site is my grandma’s recipe for Special K Bars and I love love love those things. 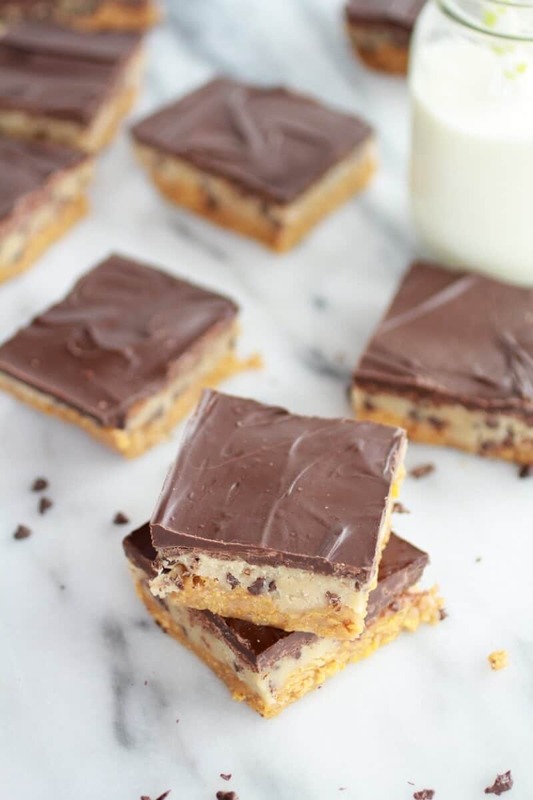 That you’ve make S.K.Bars with cookie dough and that top choc layer….amazing! Love these! OMG no way! I thought my family was the only special k-bars lovers!! My mom has made them ever since I can remember! Thats awesome! You grandma made them a little diffent than we do, but butter is always a good thing! 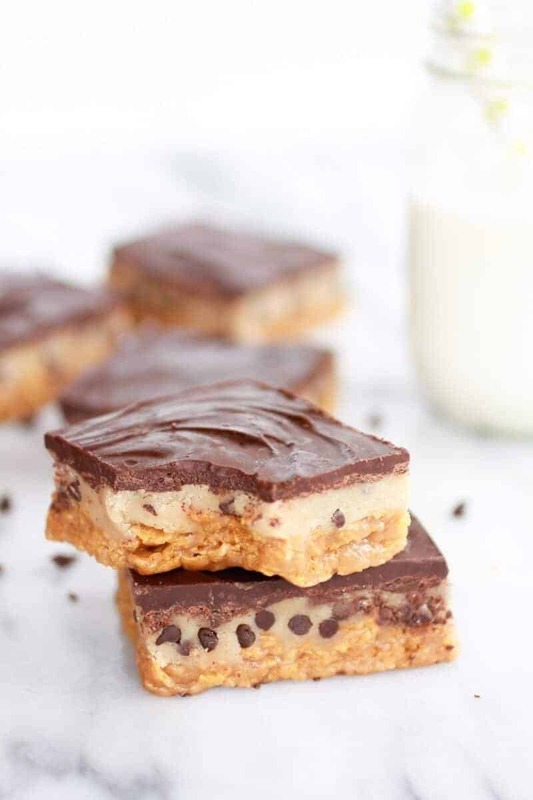 Gorgeous dessert bars! I especially love how you stacked those bars one on top the other into a tower. Pinned! Thank you and thanks so much for pinning! Yum, these look phenomenal! 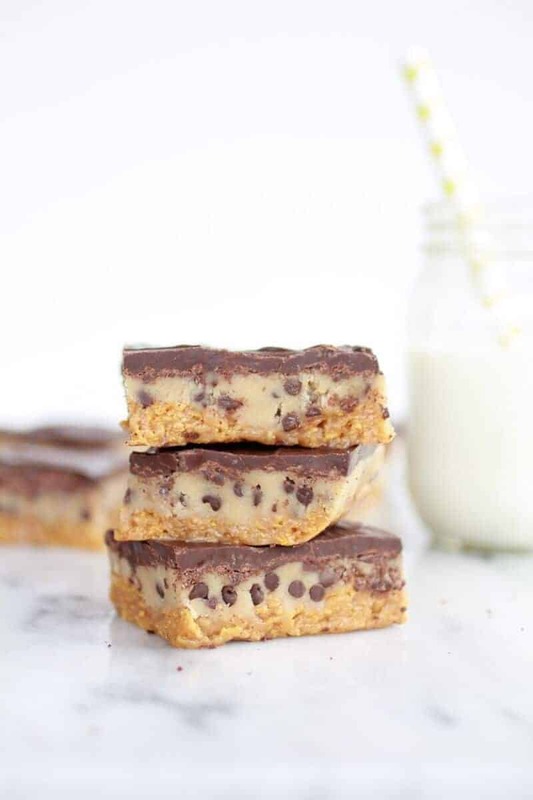 Love that you put K-Bars and cookie dough together. Pinned! Thanks Rachel and thanks so much for pinning! 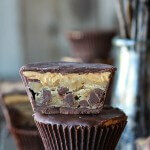 Cookie dough combined with anything is good in my opinion, but these look so delicious! The pictures are beautiful, too. I like the glass of milk in the background. Thank you! I hope you give these a try! These sound ridiculously good! 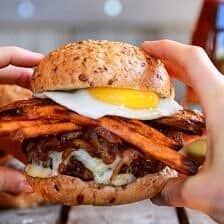 Your photos are making me hungry! These look so amazing. I’m going to make and share with my coworkers!! Thank you and let me know what you and your co-workers think! Found you via I Heart Naptime. These are a must try! Wish I had the ingredients on hand right now!! Let me know if you give them a try!I hope you love them! Aw, thank you and thanks for pinning!!! What a great combination. I bet it’s fun making the nut butter. These treats combine the best in one. I can’t wait try them! The nut butter is fun! I hope you love these! I hope Kai gets mended very soon. How nice of you to make this fabulous bars for him! This is a keeper recipe… my family will love it!!! 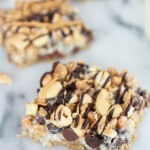 Thanks for joining ON THE MENU MONDAY and sharing your yummy bars! Kai is doing good!! Thank you and I hope you guys love these! 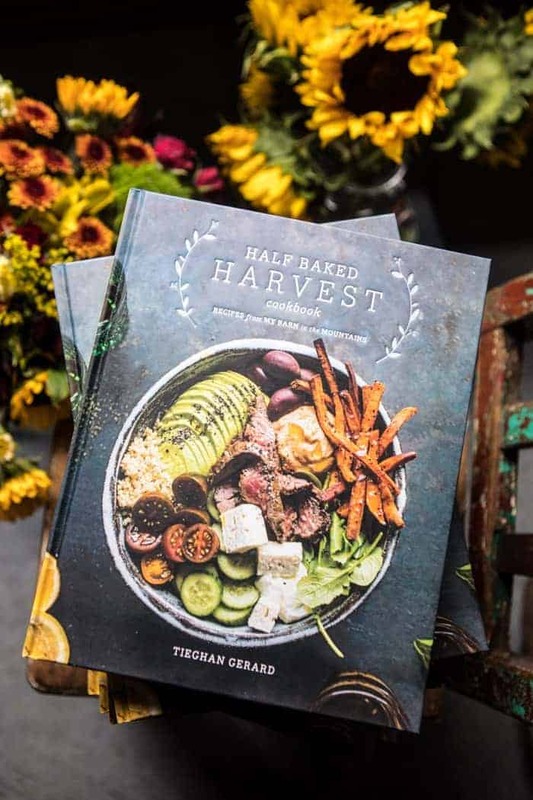 Seriously Tieghan – OMG. Jaw-dropping, drool inducing, eye popping OMG! WOWZERS!!! These look and sound mouth-watering to the nth degree!! HOLEY MOLEY!! 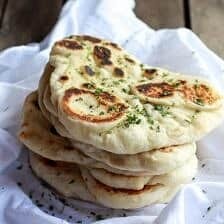 I am in love with this fantastic recipe. Thanks ever so much for sharing at Weekend Potluck. Please come back soon. Thank you!! I love your excitement! 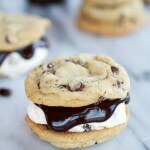 Another scrumptious recipe pinned! 😉 Thanks for sharing!! Ummm? Yum!!!! Thank you so much for sharing on Show Me Your Plaid Monday’s! Oh my these look heavenly!!! I really really want to try these. I assume they have zero calories, am i right? Yup, zero!! LOL Hope you love these and thanks for reading! These look incredible! Just yesterday I was thinking to make some cookie dough bites to keep in the fridge for noshing. These sound much yummier & look so pretty too! Thank Jelli! Cookie dough is so good! Let me know what you think! Hope you love them! These look yummy. Thanks for sharing on Foodie Friends Friday. Whoa. These look faaaantastic. And your pictures are GREAT!! Yummy!!! We are definitely going to have to try this recipe. We LOVE cookie dough! Our Simply Create Link party is going on right now. I would love to have you link up, as I’m sure my followers would love to see the recipe you created too. Hope to see you soon!